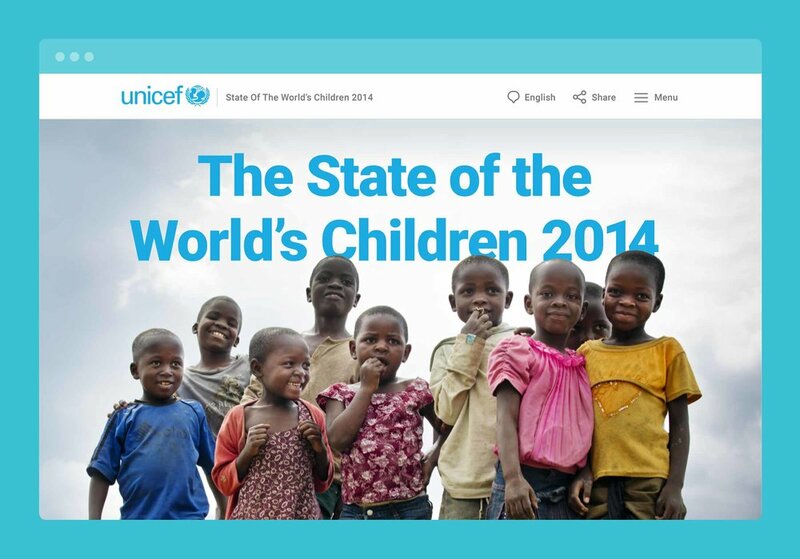 The State of the World's Children is UNICEF's flagship annual report. Traditionally a print piece, UNICEF decided to bring the publication online to mark its 25th anniversary. With a theme of innovation, UNICEF's report featured a collection of over 40 essays written by experts and young innovators alike. As design lead, I crafted a browsing experience that organized these works into a structured collection. 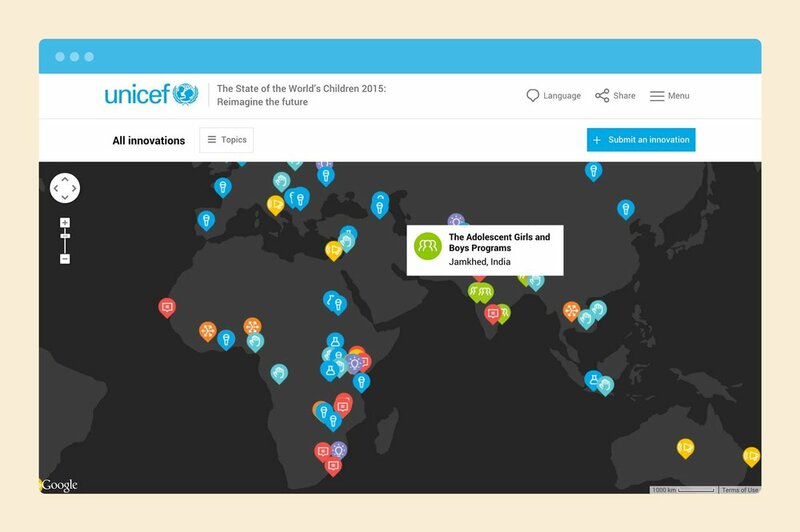 Fully utilizing the report's new online home, I also helped UNICEF create an interactive map, empowering an international audience to share their own personal stories and innovations. Content strategy played a major role in the creation of this report. 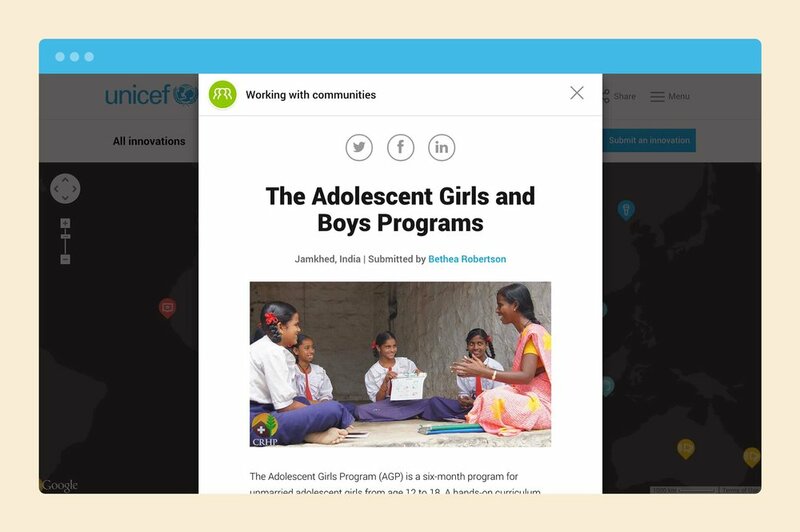 Through a series of sorting exercises, we helped UNICEF distill their content into six categories that would ultimately serve as pillars in the browsing experience. Through wireframe studies, I was able to quickly test out different user experiences and content hierarchies. UNICEF's potent photography and brand assets helped bring a compelling aesthetic to the report. Many featured essays were submitted by children around the world and it was important for the editorial design to lend legitimate context to their insights. 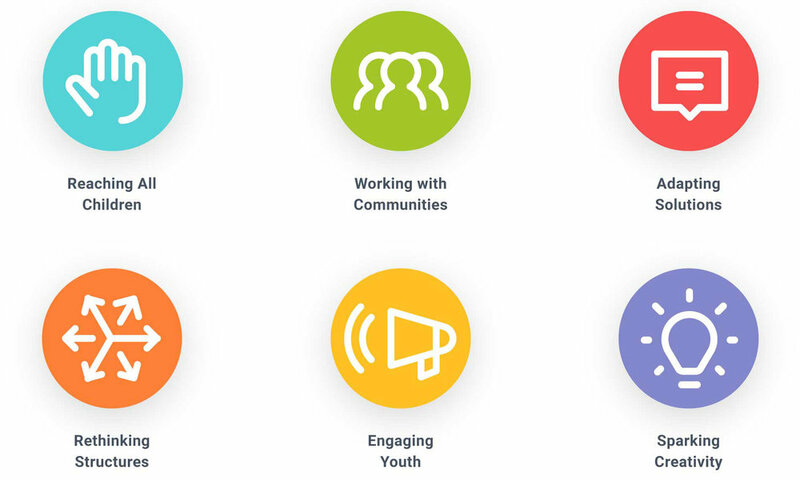 Another highlight of the report was an interactive map that collected ideas and innovations from an international landscape of communities and individuals. In the end, it was viewed over 50,000 times.